In the early days of small business accounting software, Intuit offered a single version of its popular accounting software QuickBooks. Today, you have QuickBooks Simple Start, QuickBooks Online, QuickBooks Mac, QuickBooks Pro, QuickBooks Premier, and QuickBooks Enterprise – not to mention all of the industry specific versions of QuickBooks. So how do you know which one to pick? Does it make sense to spend the extra money for premier? Should I just use the online version for my business? 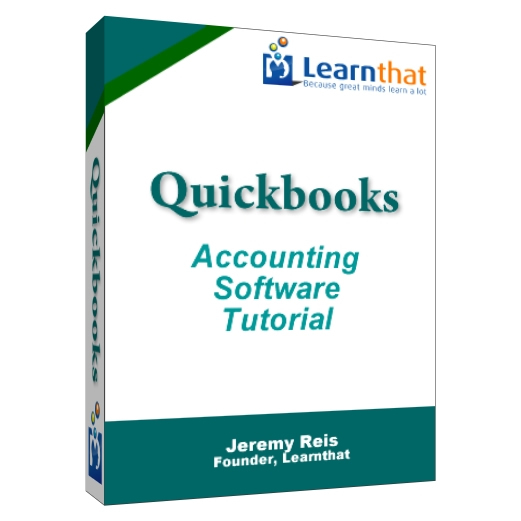 In this free QuickBooks tutorial, you will learn about each version of QuickBooks and learn how to decide which one to purchase. Each version of the QuickBooks small business accounting software offers different features to meet the specific needs of your business. For a vast majority of small businesses, QuickBooks Pro will likely meet your needs, but its smart to consider all of the options before investing several hundred dollars into a solution. First, you will learn a description of each QuickBooks version and then we’ll help you narrow down your choices. We place this one first as this is an easy decision for you if your company runs on all Macs. QuickBooks Mac is a different software package than all of the others and is not the same product as the rest. All of the other versions of QuickBooks (not the Online version of course) run on Windows. QuickBooks Mac is built to use the user interface framework of a Mac, so the way you access different modules and sections of the software is very Mac-centric. Early versions of the software were less than user friendly, but QuickBooks Mac 2011 is a much better product, Intuit spent resources to make it look and feel more like a Mac application than previous versions. It provides integration into Mac apps and service such as MobileMe for backups and iCal for calendar reminders. You can also share your QuickBooks data with Windows users or your accountant. It doesn’t offer the create an accountant copy feature of the Windows version – this allows you to create a version of your file for the accountant to work on while you also work on the data and then import your accountant’s changes back into the file. 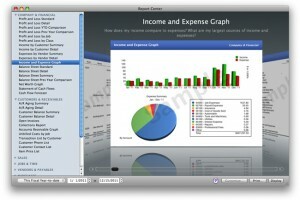 However, you can still send your accountant the QuickBooks data from QuickBooks for Mac. Intuit doesn’t offer an equivalent for Premier on the Mac, so if you require that level of functionality, you need to use a Windows PC or a Windows emulator to access a Windows version of the software. Intuit wisely began offering an online version of QuickBooks for those professionals who need on the go access, or who just desire to pay for software as a service (SAAS), instead of paying to upgrade software applications on the desktop. This version has been greeted with some enthusiasm from consultants and other small businesses who are on the road a lot. It can be more costly on an annual basis than purchasing the desktop software and offers a different set of features – though QuickBooks Online Plus is basically an equivalent to QuickBooks Pro 2011. The major benefits of using the online service is you don’t need to worry about your data file – its stored securely online and backed up, anytime anywhere access from an Internet connection, and mobile support. Here’s a handy chart summarizing what we’re about to describe to you. Online Simple Start is the least feature-rich version of the product and likely is of no value to just about any business. You lose the ability to import QuickBooks desktop files, there is no online banking, no invoicing, no estimates, no bills, no company snapshot, no purchase orders functionality, no time tracking, along with other features missing. This is a dip your toe in plan to get you to use the service for $13 a month – then upgrade once you realize you cannot run your business on it. Online Essentials is basically a standard version of their accounting service. You can actually run a normal business using Essentials. You lose the ability to bill by customer, purchase orders, inventory tracking, track multiple locations, class tracking, and budgeting and planning – all of these features are available in Online Plus. If you’re running a product-based company, Online Plus is a better choice for your versus using Essentials – if you opt for the online service at all. We’ve spoken to a number of QuickBooks Online customers and they have all been pleased with the service. They are all small, one man shops with minor accounting requirements so using a hosted service was an easy decision for them. If you have more complex accounting requirements, you will probably want to consider a desktop software package solution. QuickBooks Pro is the most popular version of QuickBooks for a simple reason: it contains the most commonly required accounting features at a reasonable price. If you’re in the market for Windows based small business accounting software, it really comes down to QuickBooks Pro and QuickBooks Premier. 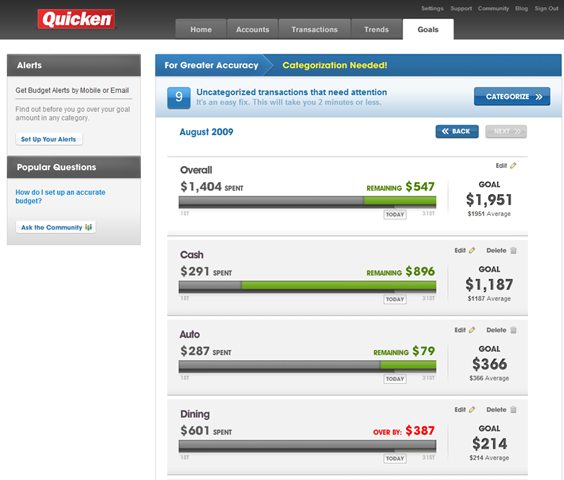 Intuit offers a comparison chart for you to see all of the software in place: http://quickbooks.intuit.com/product/accounting-software/quickbooks-comparison-chart.jsp. Track bills, expenses, and print checks. Track sales and customer accounts. 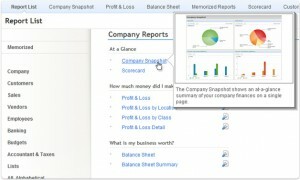 Create estimates, invoices, and reports. Accept credit cards (with a service). Track time and expenses for a specific client. QuickBooks Premier is focused on vertical industries, having you select a version to purchase and install for general business, contractors, manufacturing and wholesale, non-profit, professional services, or retail. This customization by industry will change the interface to use the language of your industry (as an example, donors instead of customers for non-profits) and provide reporting customized for your industry. Intuit has moved into the larger business space with QuickBooks Enterprise, offering expanded record data sets – from 14,500 limit to 1,000,000 limit, and is what you would consider if your business is large enough to have a good sized accounting team. 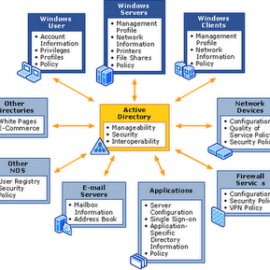 It supports additional audit trails, more users, and integration into other business systems. For a small enterprise level solution, the cost isn’t out of line, it will probably run you about $5,000 – $10,000 per year in license fees. If you’re a large enough organization, this is the right accounting software for you. Now that you’ve learned about the features each version of QuickBooks offer, now it’s time to make a decision. In the next series of questions, you will narrow down your product choices. Are you an all Mac shop? You have several choices – you could implement QuickBooks Pro or Premier inside a Windows emulator, but if you are an all Mac shop, you likely want to keep it that way to keep support costs down. Choose between QuickBooks Mac and QuickBooks Online. Do you require remote access and are always on the go? QuickBooks Online may be the best choice for your fast moving organization. Anywhere, anytime access is appealing to many people. QuickBooks is now offering a monthly service for QuickBooks Pro to enable remote and mobile data access, but this would be on top of your license fee. Something to consider though. If your business is anywhere, any place, consider QuickBooks Online as your accounting software of choice. Do you require an industry specific version of QuickBooks? QuickBooks Premier offers features specific to your industry and offers increase inventory controls which you might need. Consider QuickBooks Premier. Do you take raw materials and build products and need to track inventory for both? QuickBooks Pro does not handle inventory well when you are taking raw materials or components and building a product which you then sell to end users. Look at QuickBooks Premier for those features. Do you need to handle the general accounting features for your small business? QuickBooks Pro is the workhouse edition of QuickBooks. It handles almost anything a small business can throw at it – and works well with your accountant. If you need a small business accounting software package, consider QuickBooks Pro. QuickBooks offers many features which appeal to a variety of small businesses across numerous industries. Selecting the right version will help you be successful as a small business. A great overview of the various versions of QuickBooks. Another alternative to the online version is to have your pro or premier editions hosted in the cloud. There are several quality companies offering this service and you benefit from the remote access like with the online edition but get the benefit of the full functionality of the desktop versions.